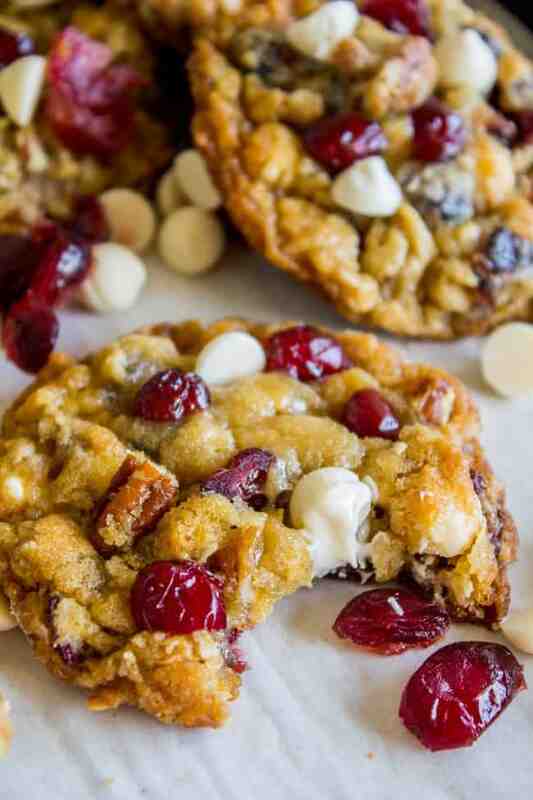 These White Chocolate Cranberry Cookies have got it all: tons of white chocolate, juicy cranberries, chopped toasted pecans, flaked coconut, old fashioned oats, oh my! 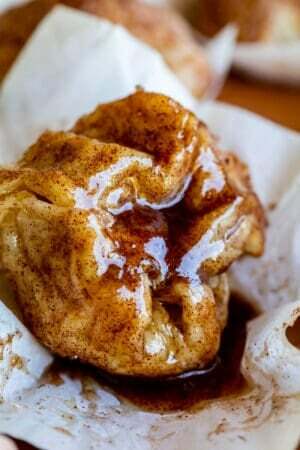 They are thick and chewy and slightly crisp on the edges with a moist and tender center. They are based on these Texas Cowboy Cookies, one of the most popular recipes on my blog! Somehow I have conned my husband Eric into thinking that watering the Christmas tree is his job. Maybe it’s because he was the manly man who was responsible for tying the tree to the top of the van, hauling it into the house, and getting it all situated in the tree stand. Maybe he has a lingering sense of responsibility for it’s care? I seriously don’t know how I got off the hook for this chore, but I’ll take it. Watering the tree is like a full body work out, amiright?? Are you guys real-Christmas-tree people? Or do you go with a fake tree? In my house growing up, we had vaulted ceilings, so it was our favorite family tradition to hike in the woods at a cut-your-own tree farm, and find a 13 foot Christmas tree. Seriously, the star nearly touched the ceiling every year. A real Christmas tree is just one of the things that makes Christmas magical for me! Another thing that makes Christmas magical: a ridiculous amount of COOKIES. My kitchen has basically turned into a cookie producing machine, there are so many cookies come out of it right now. Chocolate Crinkle Cookies, Soft and Chewy Molasses Cookies, Ginger Molasses Sandwich Cookies, Butter Pecans, The Softest Sugar Cookies of Your Life! << seriously. It’s the best time of year!! I have been meaning to holiday-ify these Texas Cowboy Cookies forever. They are one of the top cookies on my site, beloved by so many! I get emails and comments all the time that somebody’s mom or grandma used to make these cookies but they never got the recipe. But this is it! 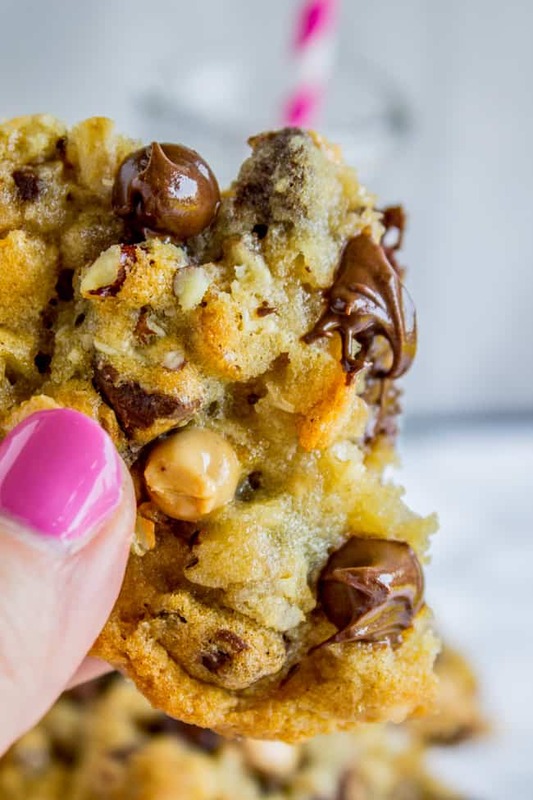 It’s the perfect combination of chewy, crunchy, sweet and salty. There are so many mix ins that it’s hard to keep track of them when you take a bite! But in a good way, it’s so good. Today’s cookies are almost exactly the same, but I swapped out the peanut butter chips and semi sweet chocolate chips for dried cranberries and white chocolate chips. I also omitted the corn flakes called for in Texas Cowboy Cookies. But I left in the oats, chopped toasted pecans, and flaked coconut. 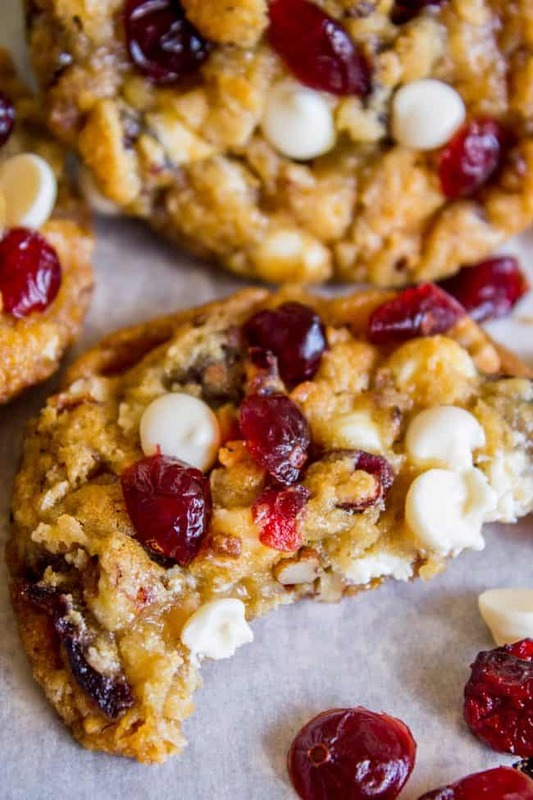 The result is, in my opinion, one of the BEST White Chocolate Cranberry Cookies I’ve ever eaten. 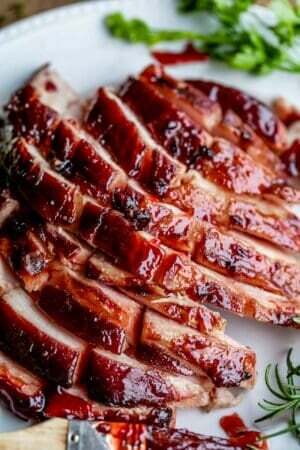 It is chewy and soft in the center, a little bit crispy on the edges, and has TONS of flavor. 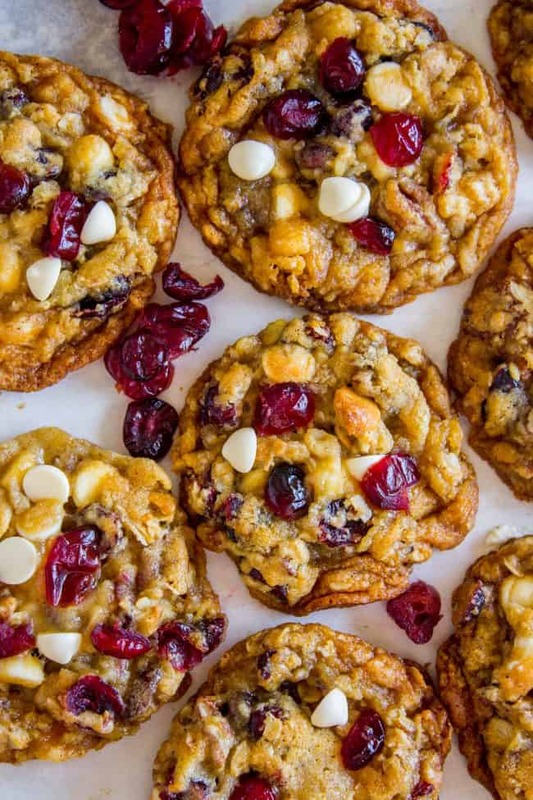 White chocolate and cranberry is just one of the greatest combos, right? I have a secret for how to get the cranberries on these cookies looking so ruby red. I wish I had figured out this trick when I shot these Dark Chocolate Cherry Oatmeal Cookies, because you can’t really see the cherries in those photos, or what you can see is just dark. But in today’s photos, the cranberries look nice and bright red. 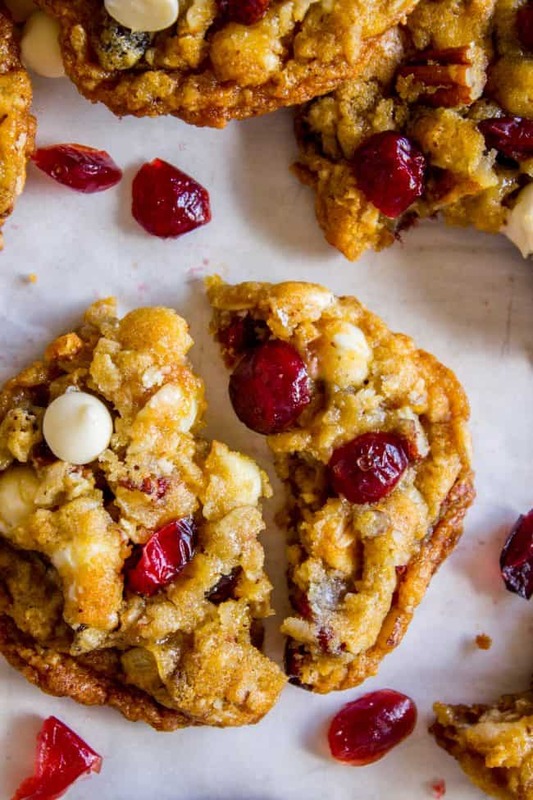 I used regular dried cranberries straight from the package to mix into the dough of these White Chocolate Cranberry Cookies. But for the ones that I pressed into the top of each cookie, I rehydrated them. Pour very hot water over the top of about a cup of dried cranberries, and let them sit for about an hour. This makes them bright red and plump. They do lose a leeeetle bit of flavor (you will see how red the water gets, and taste one, they are not as potent) but the regular dried ones that are mixed into the dough will cover you for flavor. Rehydrating some of them and pressing them into the top is purely for looks. I love it! I think these cookies would look so pretty on a cooke plate to give to your neighbors! Cranberries are just so festive! 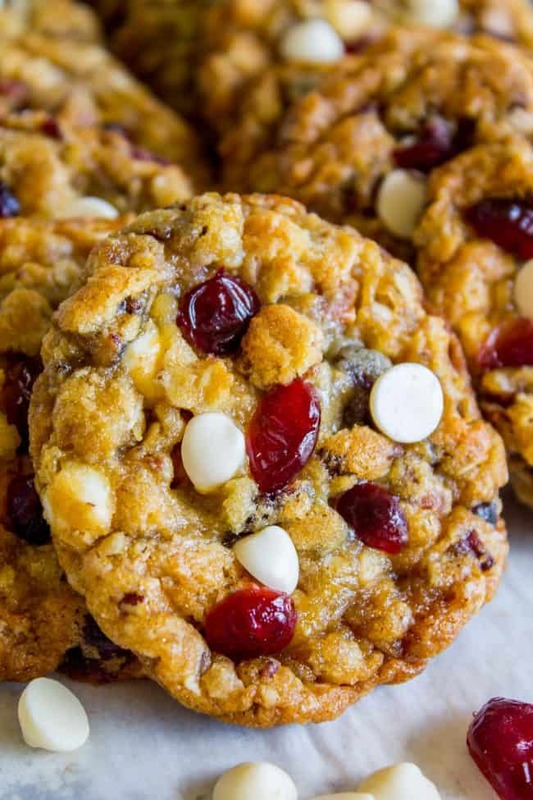 These White Chocolate Cranberry Cookies have got it all: tons of white chocolate, juicy cranberries, chopped toasted pecans, flaked coconut, old fashioned oats, oh my! They are thick and chewy and slightly crisp on the edges with a tender center. They are based on these Texas Cowboy Cookies, one of the most popular recipes on my blog! If you want to toast your pecans (you do! you do!) 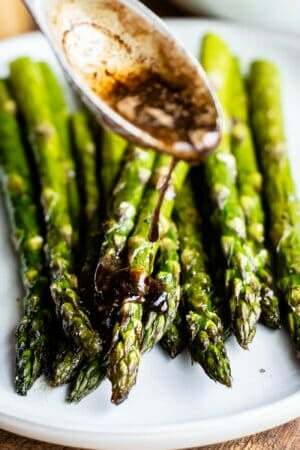 chop them up and throw them in a dry skillet over medium heat. Toast for 3-5 minutes, until fragrant. Don't let them burn! Remove from heat and let cool while you make the dough. Add the flour but don't mix it in. Add the salt, baking powder, and baking soda to the flour and use a small spoon to blend it with the flour a bit. Then mix in the flour, but stop before it's fully incorporated. There should still be white streaks. 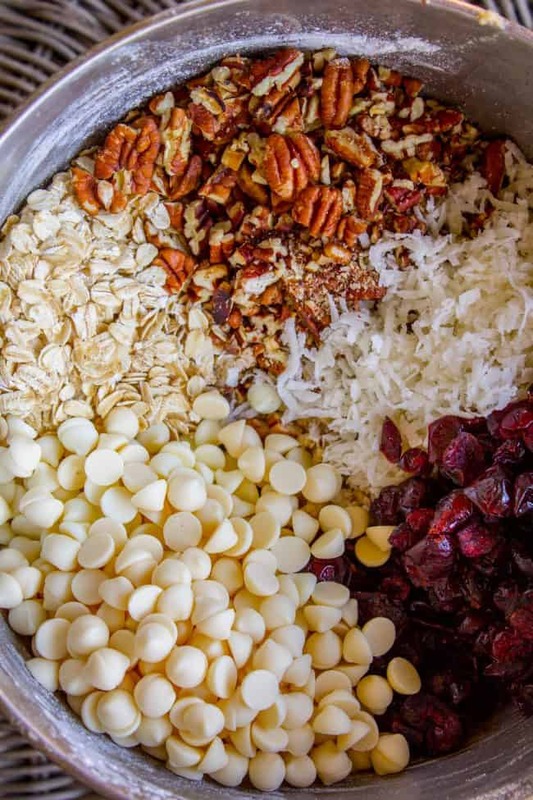 Add the oats, pecans, coconut flakes, 1 and 1/2 cups white chocolate chips, and 1 and 1/4 cups dried cranberries to the bowl. Mix in gently, making sure to scrape the sides and bottom. Don't over mix, it will make your dough tough. 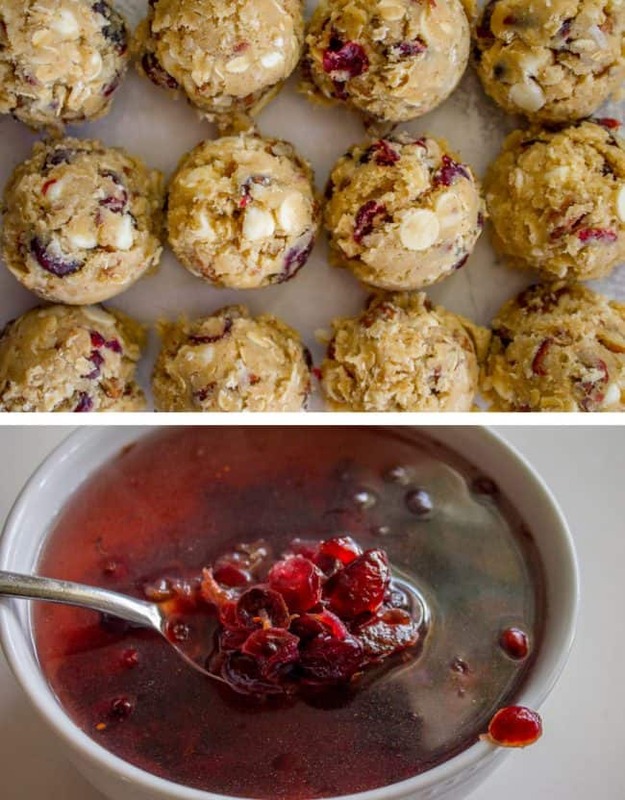 If you want extra pretty cookies that have bright red cranberries on top (like the photos), microwave a small bowl of water until it is very hot, then add about a cup of dried cranberries. Let sit on the counter while your dough chills, at least an hour. This rehydrates the cranberries, making them plump and colorful. Preheat oven to 350 degrees F. Line a couple baking sheets with a silpat or parchment paper. Use a large cookie scoop to shape the cookie dough. They should be about the size of a golf ball, or 2 inches across. Leave at least a couple inches in between each ball of dough. Drain the cranberries that you have soaking. 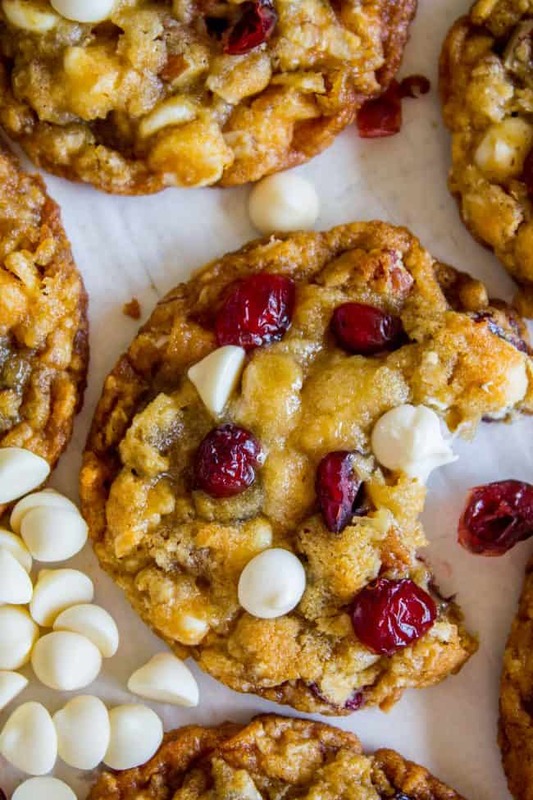 Immediately after the cookies come out of the oven, press white chocolate chips and the plump red cranberries into the top of each cookie. Let them set up on the pan for about 5 minutes, then transfer to a cooling rack to cool completely. But remember that it's mandatory to eat at least one of these while they are warm! They are great dipped in milk. More cookies you are sure to love! 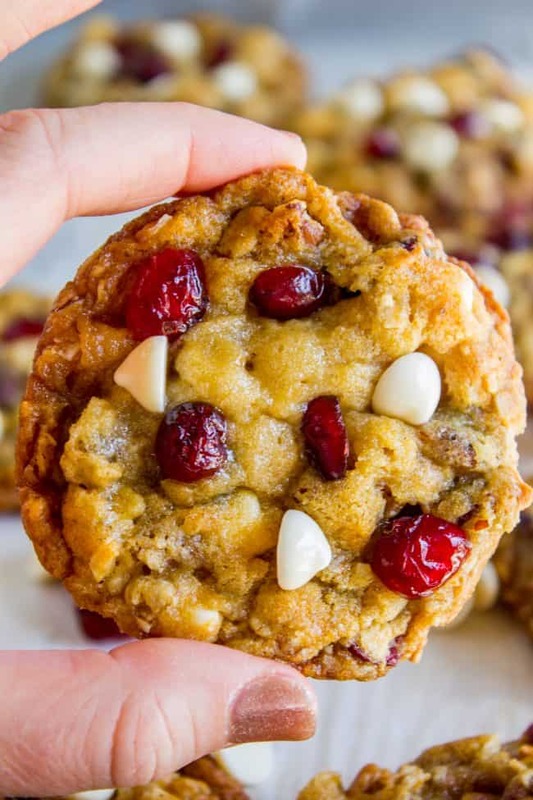 Texas Cowboy Cookies << one of the most popular recipes on my site, and the base for today’s white chocolate cranberry cookies version! 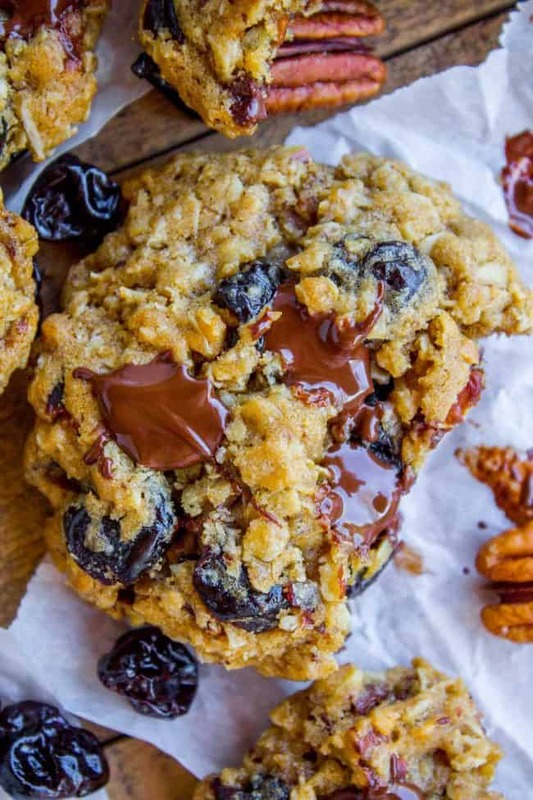 Dark Chocolate Cherry Oatmeal Cookies << these are some of the most amazing cookies EVER. 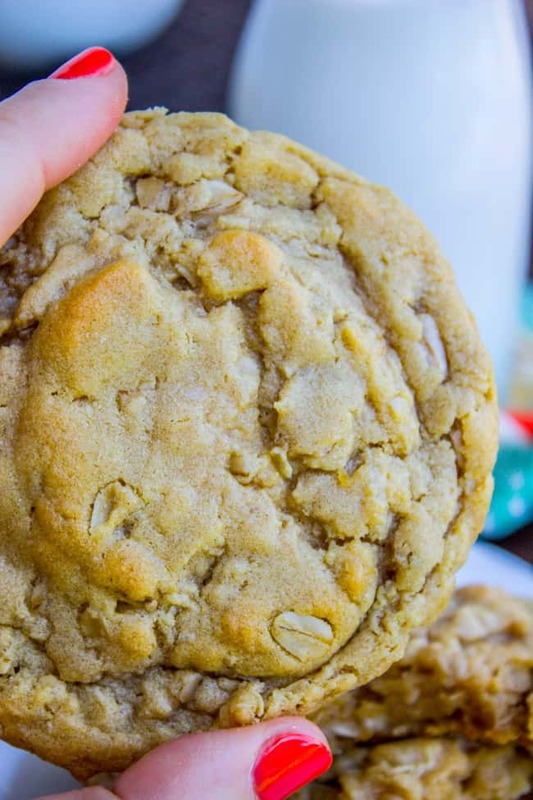 Chewy Peanut Butter Oatmeal Cookies << the best combo right?? More holiday cookies you will love! Fresh Cranberry Bars from The View from Great Island << these sound legit. 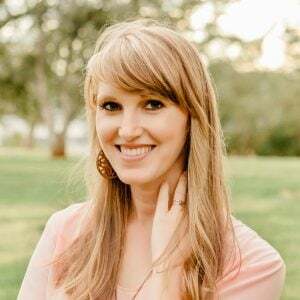 I love Susan’s blog. 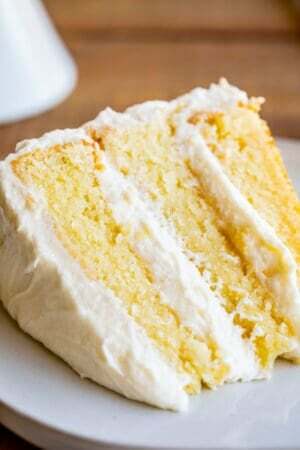 This is a fantastic recipe. Definitely toast the pecans. It improves the flavor and crunch. The coconut adds just the right amount of sweetness. Best cookie ever! I’m so glad to hear you liked it Paige! It’s hard to beat a classic like this :) Toasting totally does make all the difference! Thanks for the comment!